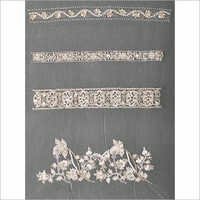 This is a crystal beaded trim made by Swarovski crystals which is in high demand from our existing clients as we are popular for producing quality products for set industry standards at reasonable price. Fabric: American Diamond White Net. Size: In any size as per the order placed to us. Design nos. start from the top, ending at the bottom. 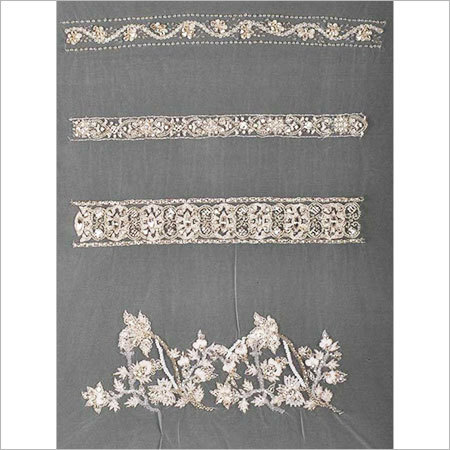 We are renowned as a leading Diamante Beaded Bridal Trims manufacturers, supplier, exporter of our domain. We utilize finest quality materials obtained from reliable source to design our product line. 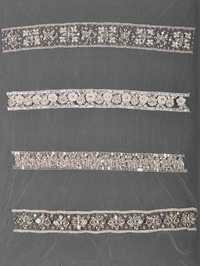 These are highly demanded for skirt borders and bands in bridal gowns. They can be customized on net, organza, satin or other fabrics according to the clients demand. In addition to this, we being a quality centric company, believe in maintaining optimum level of quality in our product line. Our quality controllers keep checking our product line on different parameters such as designs, printing, stitching, embroidery work. Design nos. are mentioned starting from the top to the bottom. 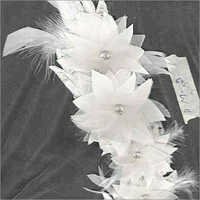 This is a beautiful flower band designed as per the trendy pattern, with crystals and hand beaded sequins. 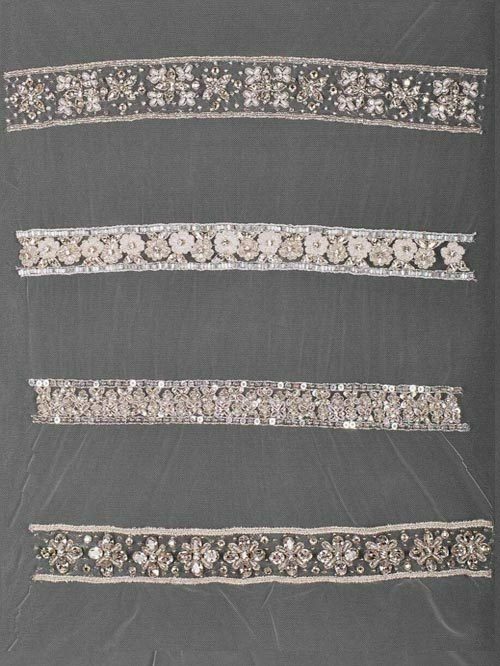 Materials Used : Swarovski Crystals, Small sequins, matching silver thread. Fabric : American Diamond White Net & Organza. Color : White(Can also be made in any color).